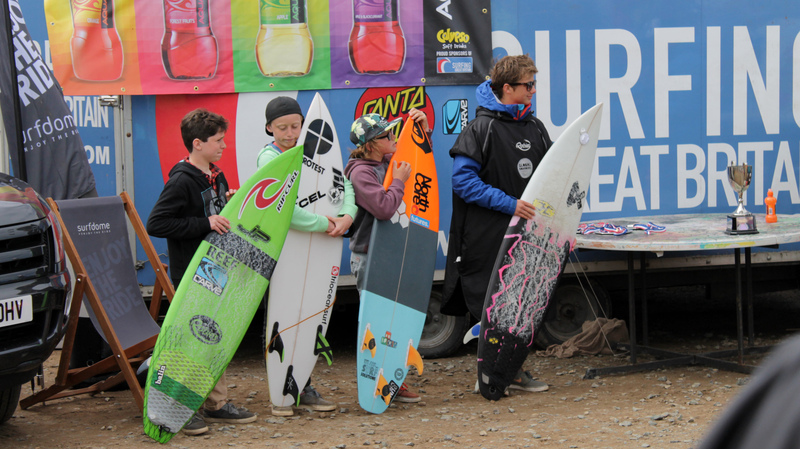 Leo Reeves (13) – This will be Leo’s second full competitive years surfing in the UK. In 2014 Leo finished 3rd in the UK in the U14’s division. In 2015 Leo will be competing in both the U14’s and U16’s. Tintin Klamar (14) – This will be Tintin’s second full competitive season in the UK. In 2014 Tintin finished in the top 15 in the UK in the U14’s division. In 2015 Tintin will be competing in the U16’s. Toby Pearce (14) – This will be Toby’s second full competitive season in the UK. In 2014 Toby finished in the top 10 in the UK in the U14’s division. In 2015 Toby will be competing in the U16’s. Bonnie Whitelock (12) – This will be Bonnie’s first competitive season in the UK, after training hard for 12 months in Noosa Australia Bonnie is now ready to compete in both the U14’s and U16’s in 2015. Woody New (12) – This will be Woody’s first competitive season in the UK, after joining the squad in December 2014 Woody has made amazing advancements and is now ready to show the rest of the UK U14 surfers that he’s not just here to make up the numbers. In 2015 Woody will be competing in the U14’s. George Carpenter (14) – This will be Georges first full competitive season in the UK, with the support of Sennen Sufing Centre and the elite coaching that we have provided George s now ready to take of the best U16 surfers in the UK. Sleeting rain and small challenging conditions greeted the team on an early Saturday morning in Bude, some could say a standard UK competition! Head coach Chris and team photographer and parent Olly were fuelled on caffeine and ready to take on a big day of competition ahead. 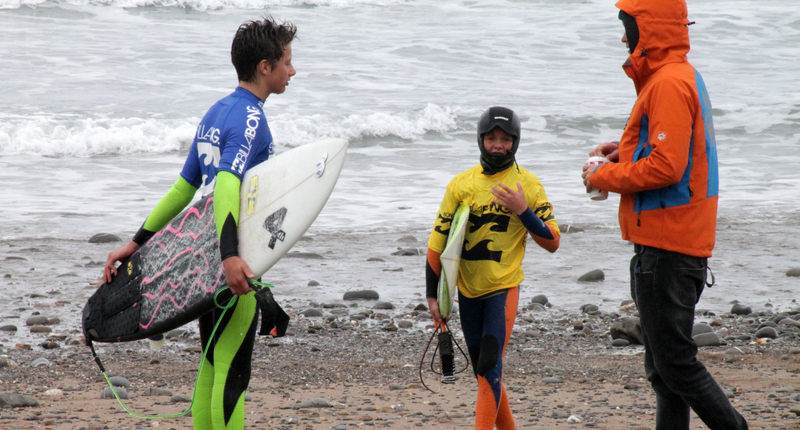 Leo and Thomas made family history today when they were drawn in the first heat of the U14 boys division. On this occasion bragging rights went to Leo, who progressed in 1st with Thomas narrowly missing out, finishing 3rd place. We’re expecting many more heats with Leo and Thomas and already have a sweep stakes on the Month / Year that Thomas (3 years Leo’s minor) takes his first win against his older brother. U14 Boys: Leo Reeves taking a very respectable 4th place in the Final. U14 Girls: Bonnie Whitelock taking 5th place in the Final. U14 Boys: Woody New making it to the Quarter Finals. U16 Boys: Toby Pearce making it to the Quarter Finals. U16 Boys: Leo Reeves making it to the Quarter Finals. Check Leo out on the far right with his new team rider Robie Max. Bonnie finished a very proud 5th place in the U14 girls final. 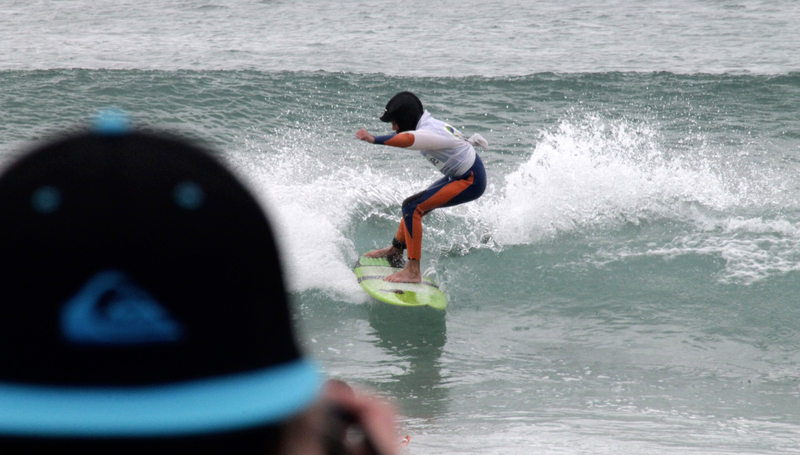 The first weekend in May saw the Global Boarders team descend on, a once again wet and windy competition site at Watergate Bay. The conditions looked perfect, however the closer you got the small the waves became, the stiff offshore winds were going to certainly make for a challenging day of heat strategies and nail biting delays from the over worked judging team. Here’s Leo flaring up and chucking buckets of spray on a small windy wave. U16 Boys: Leo Reeves making it to the Semi Finals. U14 Girls: Bonnie Whitelock taking 3rd place in the Final. U16 Boys: George Carpenter making it to the Quarter Finals. U16 Boys: Tintin Klamar making it to the Quarter Finals. Bonnie smashing a lip section on her way to becoming 3rd best U14 girl in England at just 12! Check out 10 years old Thomas (far left) finishing an amazing 4th in the U12’s final. Just missing out on second by just 2 points. At just 10 years old ‘Thomas’ was clearly disappointed with his result, watch this space for the rest of the 2015 season. Finalists Bonnie and Thomas working the camera at the English Nationals.